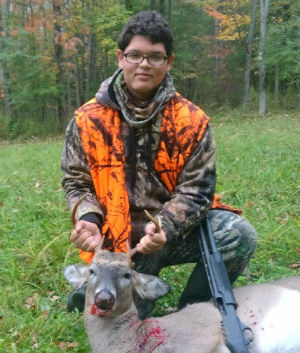 More successful NYS youth deer hunters from the 2017 NYS Youth Hunt. 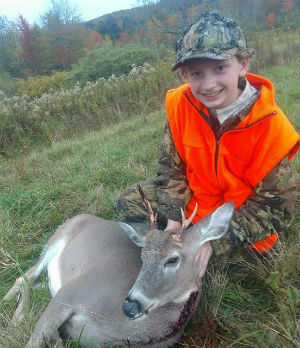 Columbus weekend in New York means the annual NYS Youth Hunt and a chance for 14-15 year olds to harvest a deer in New York with the weapon of their choice. 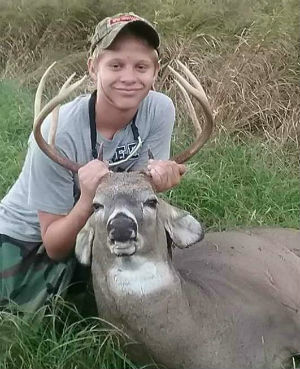 Here are photos of some of 2017's successful youth deer hunters. 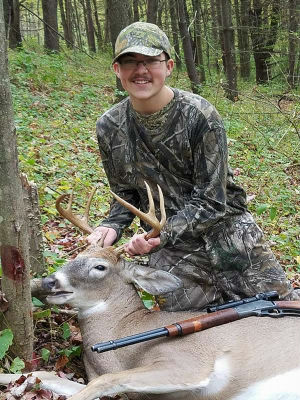 If you know of a successful 2017 youth hunter or are one yourself and would like to have your photo posted here... just drop me an email at nyantler@twcny.rr.com. 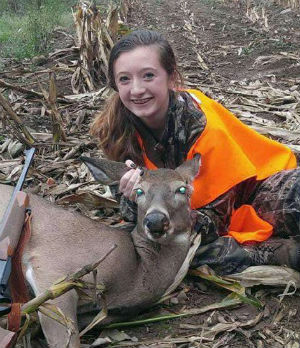 Remember that photos must be of the hunter and the deer, and must include the hunters full name and county of kill. 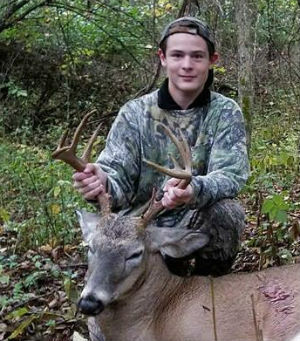 It doesn't hurt to add other info such as number of points, weight, etc. 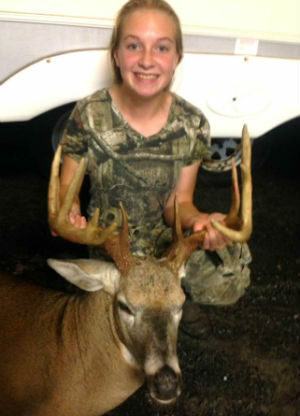 Mackenzie Jayne, age 14, shot her first deer in Van Etten, NY... Chemung County on Oct. 9, 2017 during the NYS Youth Deer Hunt while hunting with her grandfather. 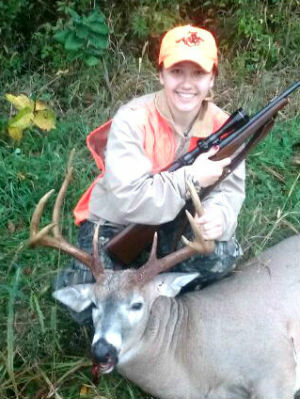 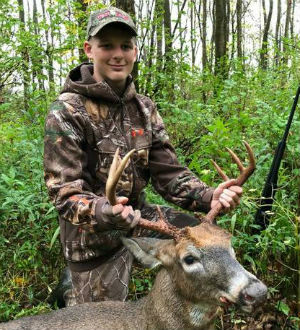 Terah Wilson, age 14, shot this nice buck during the NYS Youth Hunt on 10/09/2017 in the Town of Bath... Steuben County. 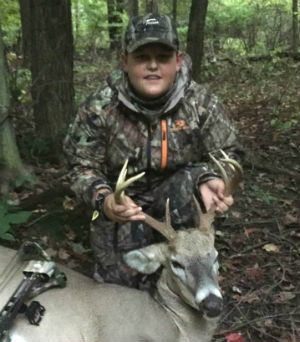 Blake Weeks, age 12. took his first deer with a bow in Cortland County on October 14, 2017. 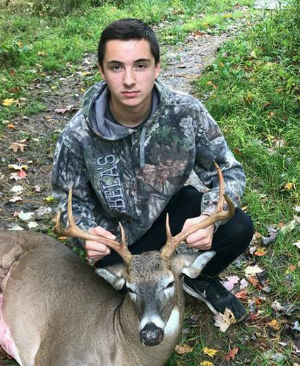 Ryan Clute, age 14, took this big 10-pointer in Saratoga County on 10/7/2017 during the NYS Youth Hunt. 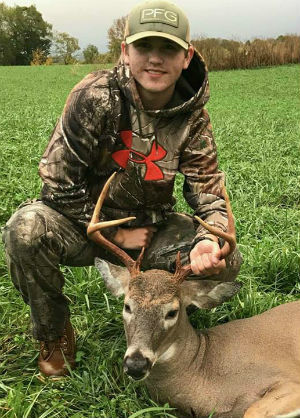 Ryan Shantal shot his first deer, an 8-point during the NYS Youth Hunt on October 9, 2017 in Madison County. 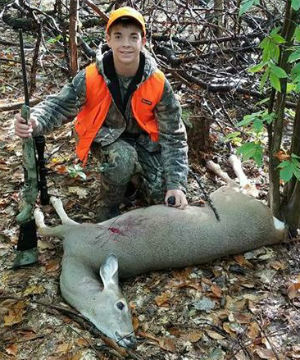 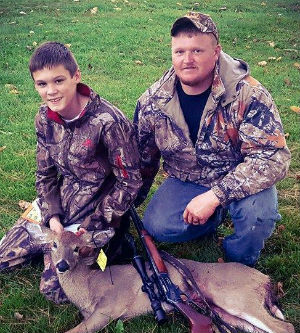 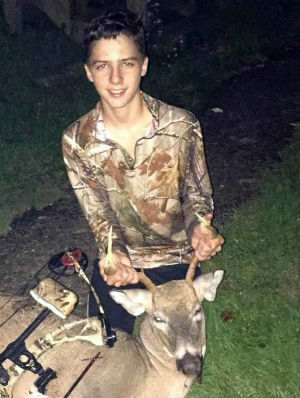 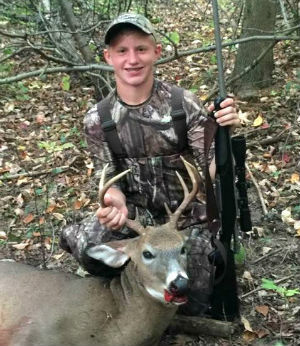 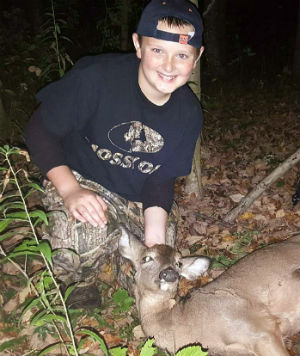 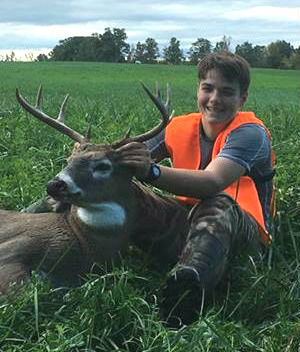 Ethan Fitzgerald shot his first buck, an 8-point, during the NYS Youth Hunt in Chenango County. 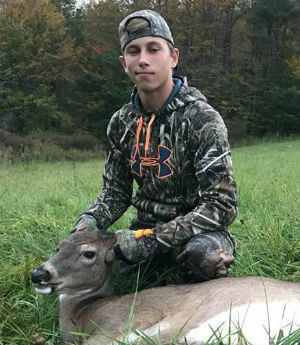 Colin Gilbert shot his first buck, an 8-point, on Oct. 8, 2017 during the NYS Youth Hunt in Allegany County while hunting with his Mom. 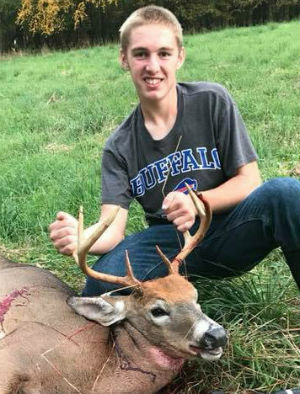 Maxwell Bailey shot this 8-point on October 7, 2017 during the NYS Youth Hunt. 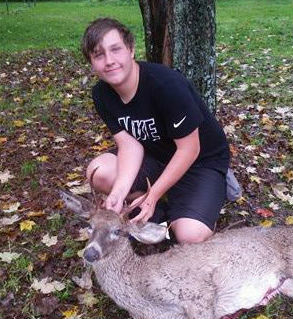 It is his first deer and was shot in the Town of Orange... Schuyler County. 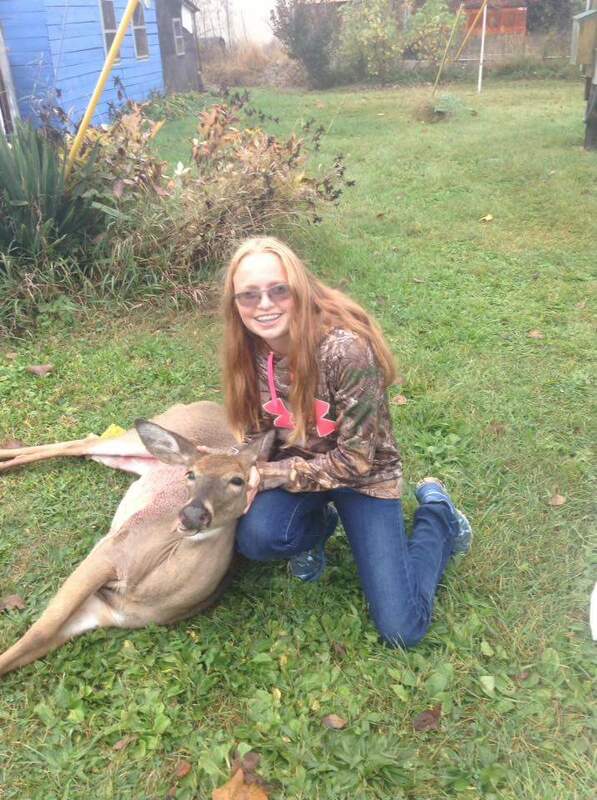 Heather Mann, age 14, shot her first deer with her .243 in Livingston County... Town of West Sparta on 10/09/17 during the NYS Youth Hunt with her dad. 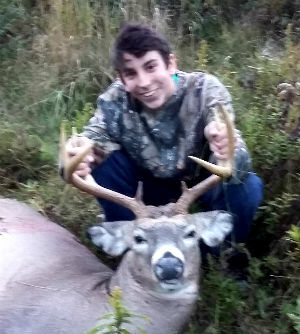 Carmen Piccirilli shot this wide 7-point with a 19-1/2” spread in Kill Buck, NY... Cattaraugus County on October 8, 2017 during the NYS Youth Hunt. 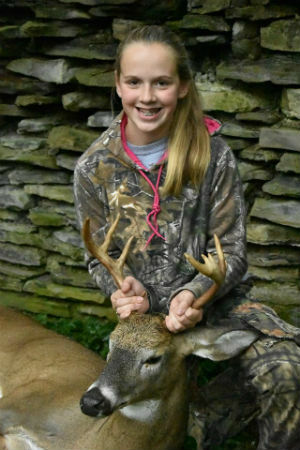 Joyce Kennedy, age 14, shot this big 12-point in the Town of Wright, NY... Schoharie County on October 9, 2017. 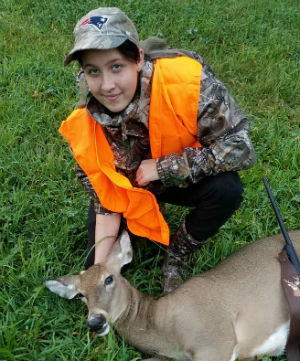 First Youth Hunt with her dad.